I would like to see this church’s theological statement. Just wondering. But it is in the UK. I’ve gone through a bit of a humor drought as of late and it shows. It’s always better when I can laugh at things I see. Over the weekend Steve-o and I, and Mom, and Sophie went to the zoo. The weather was unusually nice for Ohio in Monsoon season- as in it wasn’t pouring down torrential rain. The thing about public places, and even attractions like the zoo where the admission price should serve to keep some of the riff-raff out, is that it’s a human freak show out there. 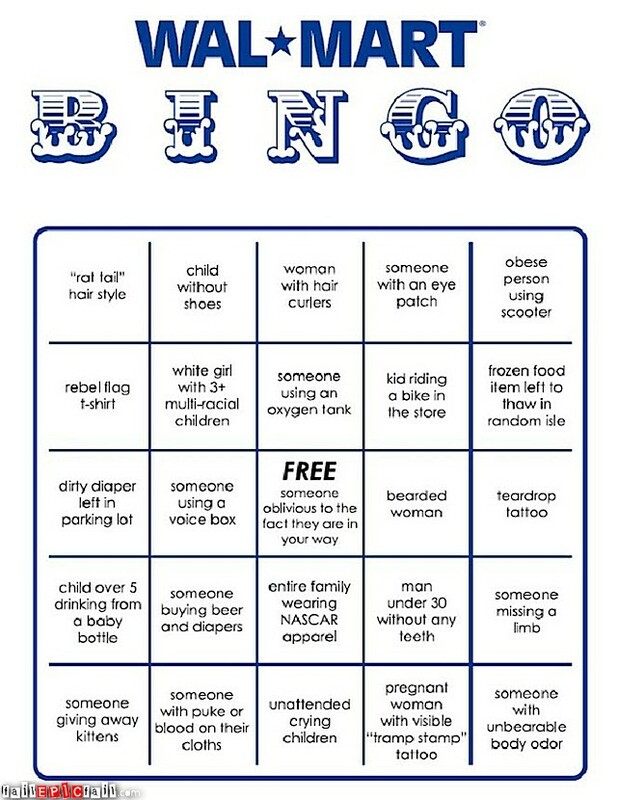 I thought Kroger’s on the first of the month was bad. The only places I’ve seen worse tats and even worse clothing choices are the Marion Popcorn Festival and/or the Ohio State Fair. I will be taking pics at both of those events this year. It’s almost as fun as taking pics of tacky Christmas decorations. 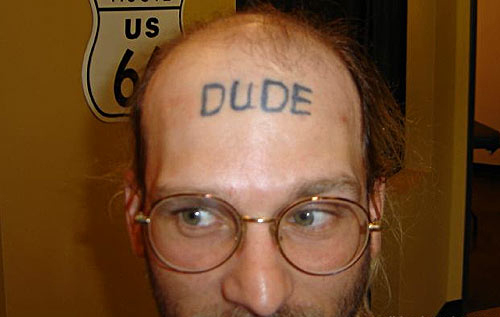 Is there a reason why you want to verify your gender to others via a forehead tattoo? I had a camera on me, but didn’t really feel cool snapping off pics of the Behemoth Butches with Extra Long Leg Hair while Mom was pointing and wondering out loud, “Which one’s the guy?,” and Steve-o snorts out even louder, “They’re bull-dykes!” Mom, of course, replies by exclaiming, “That’s disgusting!” Mom and Steve-o’s conversation back and forth on the human freak show they were observing all around them was funny, if not predictable. One has to remember that Mom is 1. very Catholic, 2. very conservative, and 3. from a very rural locale. She has lived a sheltered life. At least when she was growing up, the nuns wore full-body garb that would have covered up their buzz cuts, hairy legs, trucker’s wallets and such. 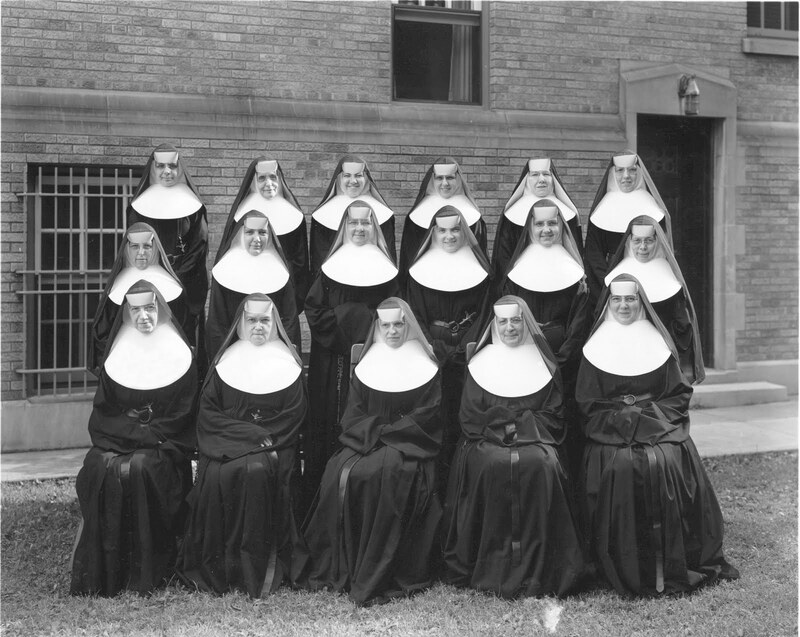 Even I remember Sister Mary Refrigerator Perry from CCD- she was about 6’5″ and a good 320# at least. I didn’t take any pics of strange people at the zoo, (should have, because they would have been good) because I prefer taking pictures in stealth, without other people’s (loud and frequent) commentary to draw attention to what I’m doing. So I have no gratuitous pics of these “girls” with their lovely buzz cuts and their fetching ensembles of XXXL t-shirts, cargo shorts, trucker’s wallets, white socks and Chucks. Trust me-the world is better off. Bull-dykes or not, I figure, live and let live. Their lifestyle choices- including their rights not to shave their legs, and to consume more slop on a daily basis than a pen full of feeder hogs- are none of my business. But the one chick did have more hair on her legs than Steve-o does on his head, which was a tad bit alarming. She also outweighed him by about 100#, too, so I’m glad she didn’t hear him. 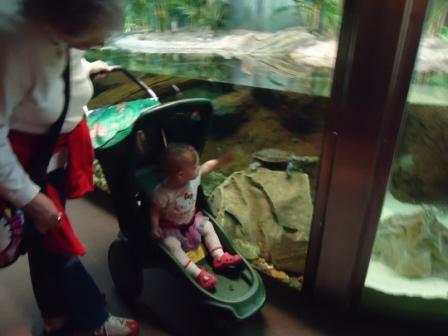 My granddaughter did enjoy the aquatic life in the aquarium though. It’s almost disturbing when Steve-o and Mom and Sophie are the only normal people I observed the entire afternoon. They were so normal that they were abnormal- no tats, no multicolor hair-dos, no mouth piercings, and a child who was dressed appropriately and actually behaved herself most of the time, which is hard to do when you’re 14 months old. It’s getting really weird to watch people in public places these days. It’s as if the world has become WalMart, and that couldn’t be a good thing. This is so sad, but it’s true!!! 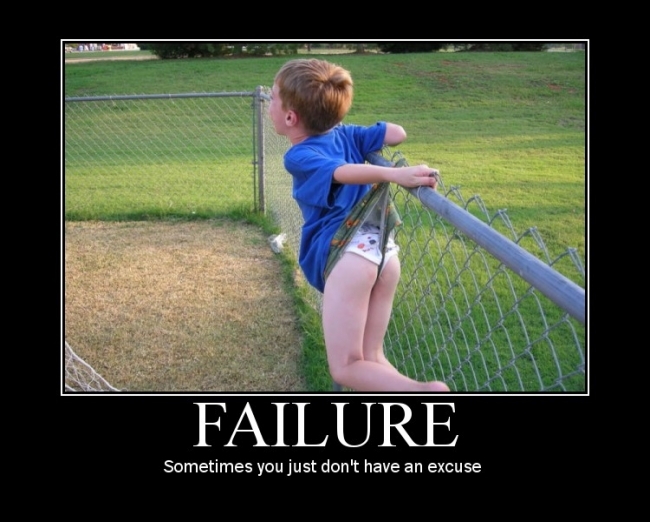 Makes me wonder if he was climbing the fence, or if he just had a sadistic older sibling? When I look at this pic, I thank God I was not born male with the two older sisters I had. I’d probably been nutted so many times by the age of three that I’d been made a castrato, had I been male and left to the mercy of my sisters’ evil meathooks. I still got the living hell beat out of me, but at least, being a biological female, I come upon a high soprano vocal range honestly.